My parents have a place in Florida that they retreat to for the winter. Mostly my mother, however my father has been staying a little longer as the years progress. This year, my mother had asked two of my daughters to drive her car down and she was going to fly in. Somehow, that turned into a mini family get away for most of us. My daughters drove their grandmother to the airport and continued their journey to Florida, three days later. my wife, Deanna, flew down to Florida to visit her parents. A couple of weeks later I drove down with my father to “help him drive”. I didn’t drive one inch of the trip! I got in the truck at 5:20 AM, we stopped once for gas and a couple other times for restroom breaks and arrived 15 hrs later! Dad sticks around for that extra 2 weeks because we still have deer hunters coming in for muzzle loader season. 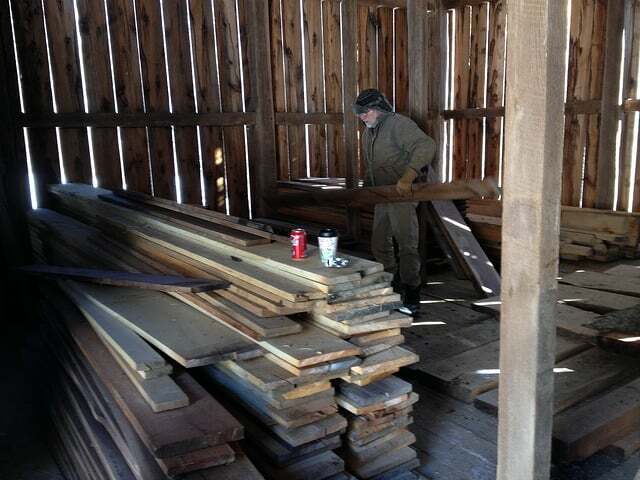 During those two weeks he closes down his house and we winterize the hunting camp after the last hunters leave. We also load the truck with about 400 board feet of lumber. Dad places ads in the Florida papers for lumber and takes orders to be delivered, he says it pays for his trip to Florida. My daughters flew back from their trip a few days before dad & I took off. It worked out perfect! They were able to get my moms car to Florida and visit with her for a few days, visit with their other grandparents, spend a little time running around Disney World, and make it back home to take care of chickens, rabbits, cats, dogs and be here for their brother, Sawyer. After arriving in Florida, I spent a few days with my parents and then met Deanna and headed down to her parents to spend a few days. 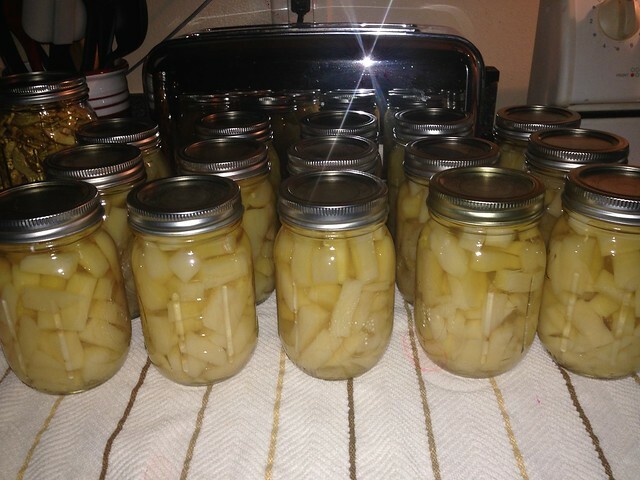 Deanna’s mother, Betty, has been going gangbusters canning and dehydrating! 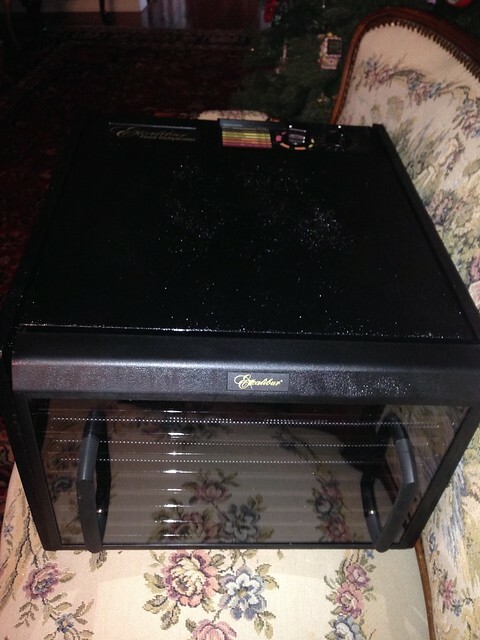 She bought us a 9 tray Excalibur dehydrator for Christmas and I can’t wait to get started! 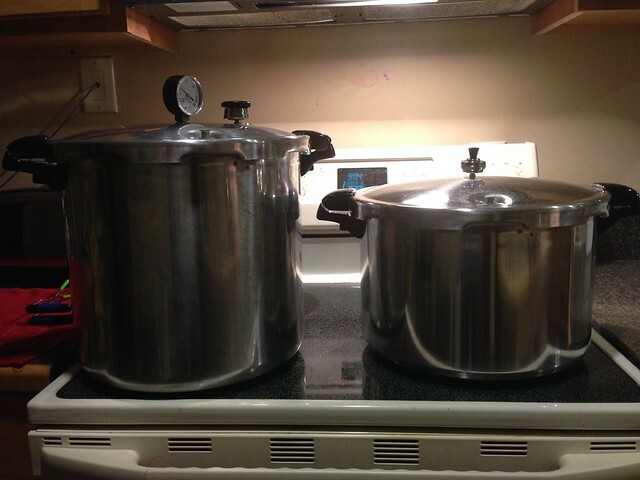 Betty has been canning chicken, ground beef, meatloaf, hamburger patties, beans, pie fillings, jams, and jellies. She usually had a water bath canner, two pressure canners and two dehydrators going at once. I’m not sure what brand of pressure canner she uses, but I have a couple of All American pressure canners that we will be using. She also had this cool old utensil to pry off the lids from canning jars. 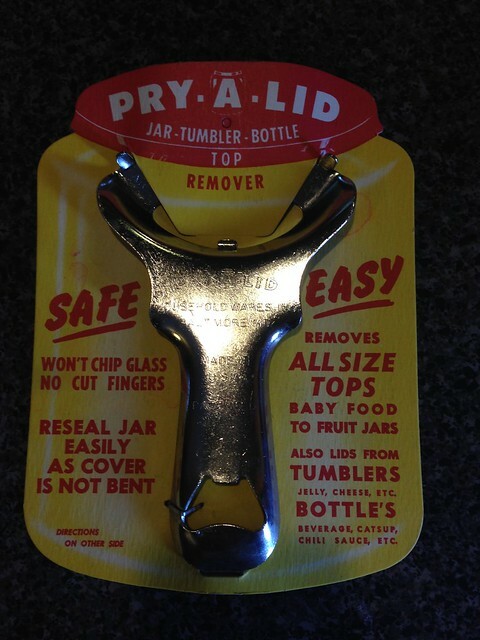 It’s called a “pry-a-lid” and I believe she bought a few from ebay. When Betty is dehydrating, she stores all of her dried fruits and veggies in quart and half gallon mason jars. 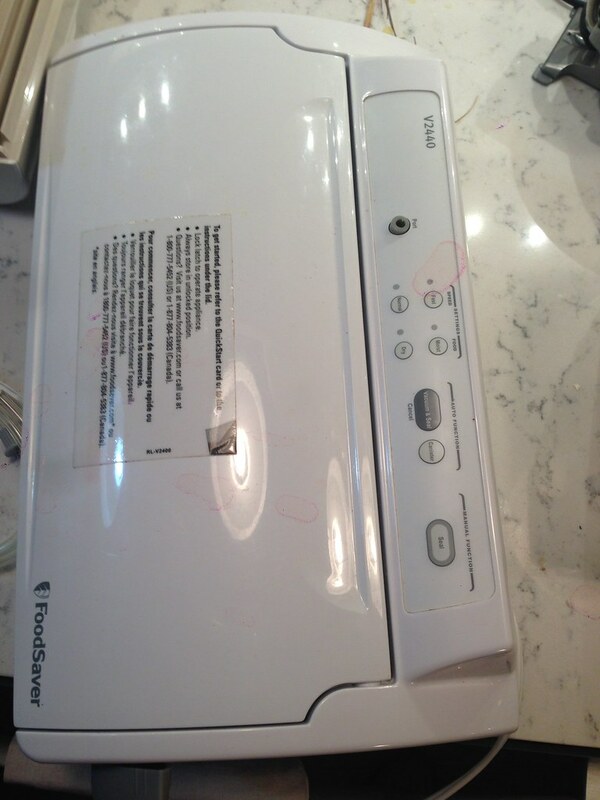 She uses a FoodSaver machine with a jar sealer accessory to take the air out of the jars and secure the lid. 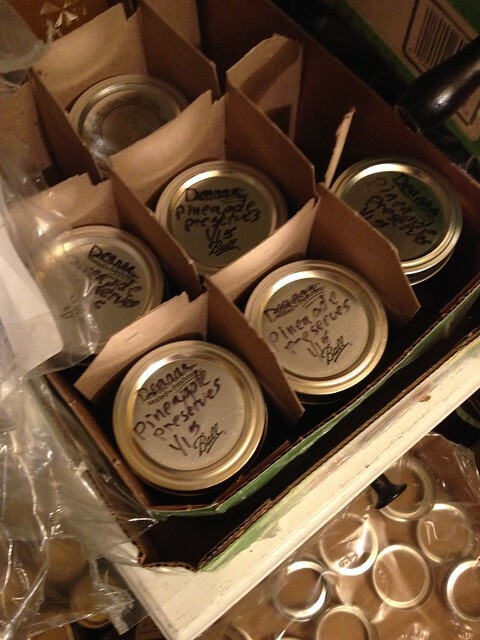 What’s nice about that versus the bags is that you can reseal & reuse the jars over and over again. Deanna and I helped out a little and learned a lot. I think Deanna is excited about getting started on the canning and dehydrating. 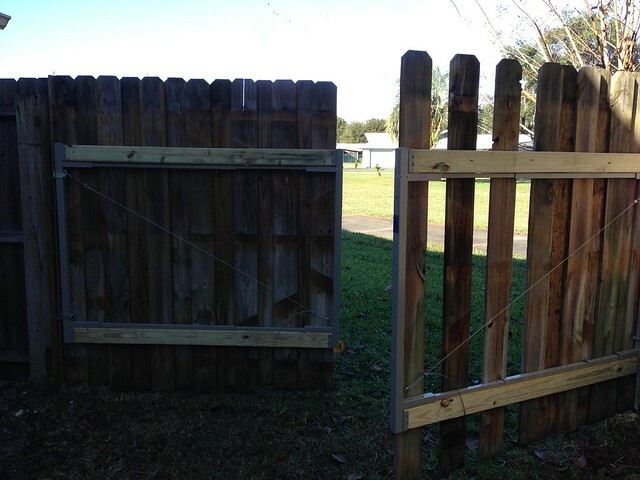 I also helped my father-in-law, Terry, rebuild the gate going into their back yard. The old gate was very heavy and mounted with hinges that were too small, so it had sagged over the years. 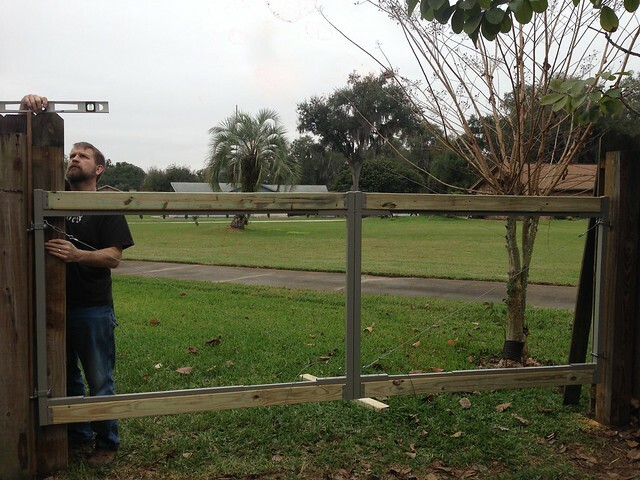 The new gate uses the type of hinge and pin we use on the farm, lag bolt style gate pins. 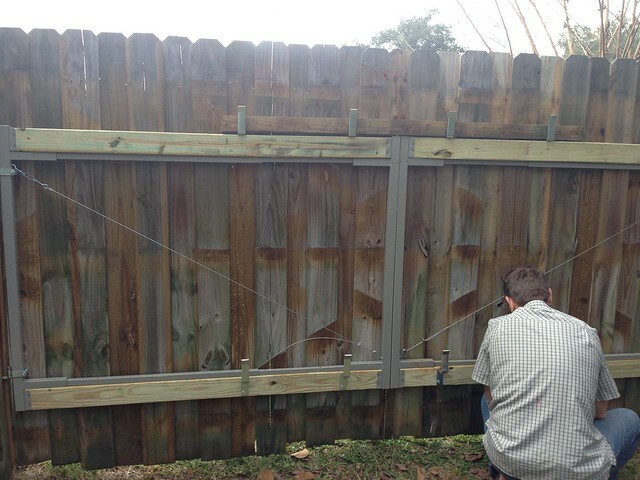 We also used an Adjust-A-Gate gate frame that Terry had purchased. I have to admit, I was a little leery of it, but it worked great and looked good too! All in all we had a great time visiting family in Florida, but now its back to the grindstone. I have a lot to do around the farm this winter!